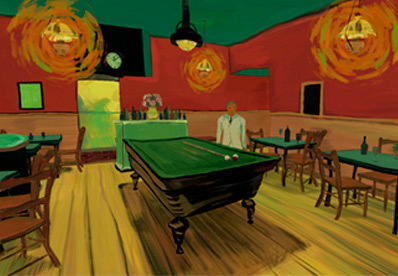 What did the world look like through Vincent van Gogh's eyes? Enter into his painting to find out. The experience that won the Platinum and Community Choice awards at the Oculus Mobile VR Jam 2015. 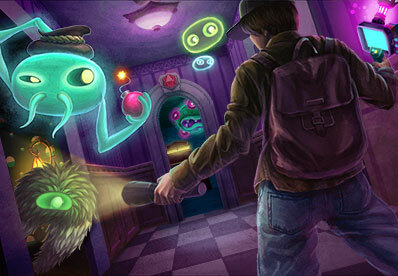 Designed exclusively for VR, Spectro is a ghost hunting action game with roguelike elements. There are infinite haunted levels to explore, chests full of gear to unlock, and hidden totems to find. Borrowed Light Studios is an independent, virtual reality focused, game studio based in Greenpoint, Brooklyn. We believe exploration and story are key to a satisfying virtual reality experience and want to take you on a journey with us to the strange and the wonderful. VR is a completely new medium for explorers and creators and we want to be at the forefront. Borrowed Light Studios would love to hear from you.